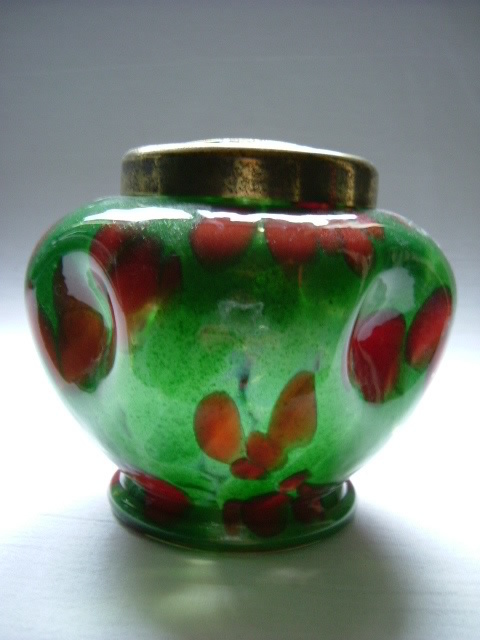 In Art Glass > Bohemian Art Glass > Show & Tell and Art Deco > Show & Tell. This small rose bowl is made of three thin layers of glass and has a décor of red and green spatter on clear glass. 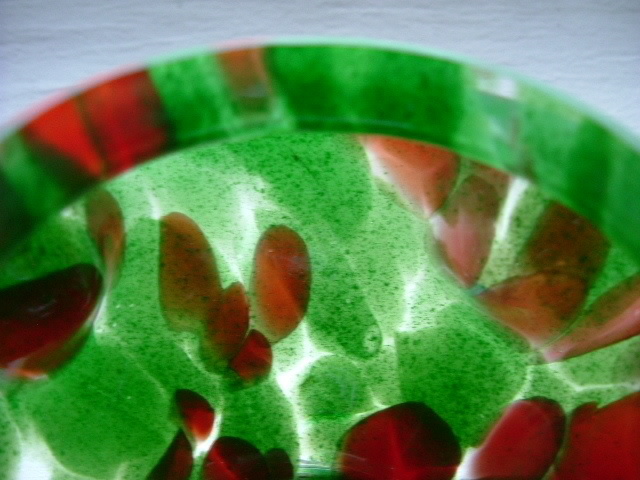 The green is aventurine and the red spatter has dark edges. This is the third décor I've found in this shape. The other two are on the second shelf from the top in picture four. Love this and your cabinet display. :) Very beautiful. I agree - you have a wonderful sense of color and shape in your arrangement in the last photo! This beautiful bowl looks like rose petals floating. That display Peggy! Wow. How much great glass you have and so clever displaying it! 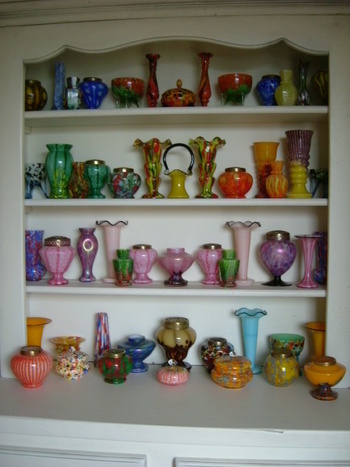 Mmm - lovely hoard pic! 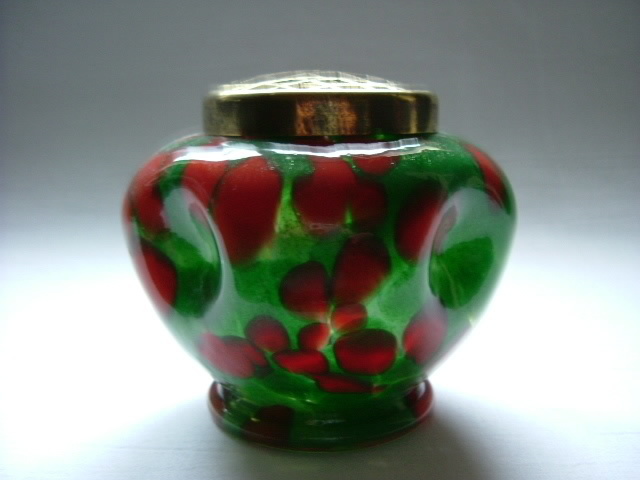 It was bought in December and made me think of berries and Holly leaves. @ Ian, thank you, perhaps you'll post your version soon when unpacking is complete! Thanks, kivatinitz, I value your comment as ever. Many thanks to all who looked and clicked 'love it'. There is a really nice assortment of some Welz Deco Era production on those shelves!! Thank you Craig, there may be one or two 'not proven' or 'not proven' to your stanards!! really lovely, the colours are like toffee apple! So pretty, looks like a watercolor, or a kaleidoscope, the colors are so soft and warm. What a pretty piece! What a great splash of colours.. love'm all .